Color combination of this template is really splendid. Lots of white space and light blue elements convey the atmosphere of fresh outdoor air gently blowing into your face during the leisurely bike ride. The design is very simple. Actually, it is focused around excellent product presentation. 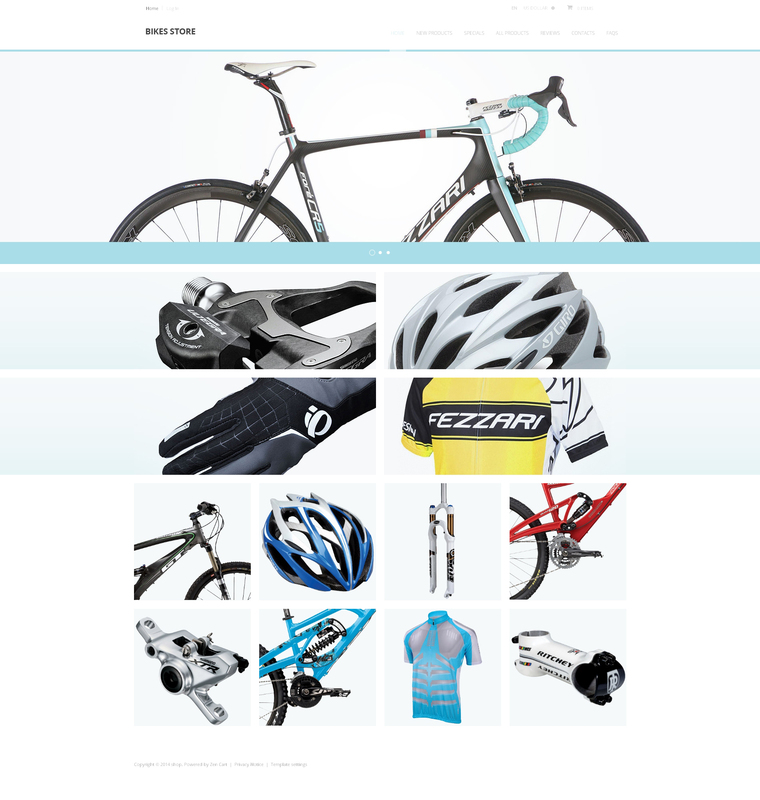 Bike and accessories images are everywhere in the slider and content area. Main menu is very concise. There are no visible buttons or prices available on the page until you hover the product. Rather intriguing, isn't it? We are sure this unusual design will be highly appreciated by your customers and bring you good conversion rates. Exclusive License $2,500 An Exclusive License ensures that you are a sole buyer/licensee of the template. You are granted an exclusive non-transferable permission to use the template on multiple domains.